Malawi is a small, densely populated country in southeastern Africa, bordered by Tanzania to the north, Zambia to the west, and Mozambique to the east and south. Of the country’s residents, 85% live in rural areas, with the urban population concentrated in the country’s largest cities: Lilongwe and Blantyre. Malawi is one of the world’s poorest countries, with about 74% of the population still living below the income poverty line of $1.25 a day. 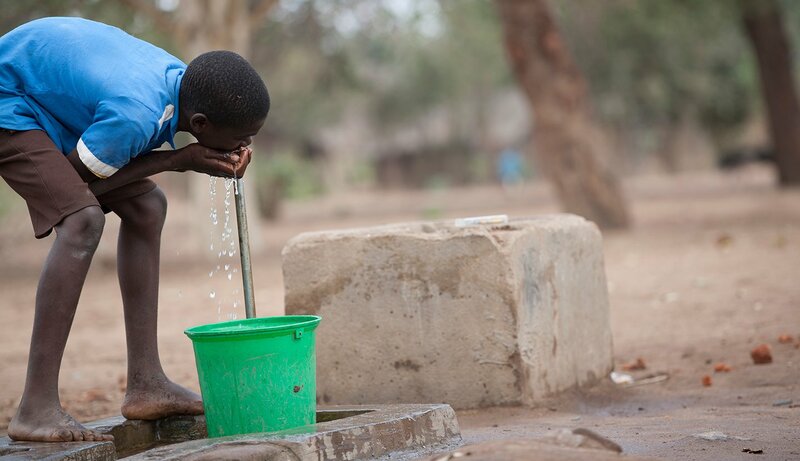 Water For People has been working in Malawi since 2000. In 2006, we changed our strategy from working on small projects in widespread areas to concentrating efforts in three regions: peri-urban Blantyre and the rural districts of Chikwawa and Rumphi. Since its start, Water For People-Malawi has become a leader in the water and sanitation sector in the country, promoting innovative and sustainable approaches to water and sanitation services. Everyone Forever is a unique programmatic effort to provide improved water and sanitation to Everyone in targeted districts and municipalities, Forever. It means these districts and communities never need another international water agency to address their water challenges again. It also provides a model for greater replication, promoting a national movement towards full water and sanitation coverage. Water For People-Malawi is focusing its Everyone Forever efforts in peri-urban Blantyre and rural Chikwawa. Lasting water and sanitation solutions can only be achieved when local players — the private sector, civil society, and local government — are supported. As such, Water For People-Malawi is deeply involved with key local stakeholders, including the Blantyre Water Board and City Assembly, the Chikwawa district assembly, local NGOs, private sector business development service providers, and the University of Malawi-Polytechnic. In an effort to expand Everyone Forever beyond Water For People-Malawi’s core districts, we have partnered with the Water and Environmental Sanitation Network of Malawi, an umbrella organization for all non-governmental organizations working in the water and sanitation sector, to spread the Everyone Forever mission. We have also partnered with Ministry of Irrigation and Water Development-Southern Region Office to replicate the Everyone Forever model in seven other southern region districts. These districts are: Blantyre Rural, Chiradzulu, Zomba, Nsanje, Phalombe, Mulanje and Thyolo which are part of the Shire basin. Work will begin with mapping all water points in the districts and developing Everyone Forever plans. Blantyre is the country’s second largest city with a population of approximately 730,000. Seventy percent of the city’s population lives in low-cost, informal housing. Chikwawa is a rural district with a population of approximately 500,000. 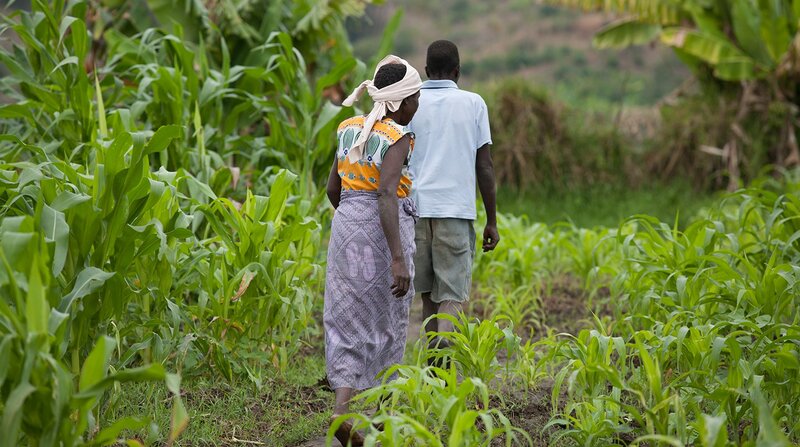 The majority of the population is comprised of subsistence farmers, living on less than 50 cents a day, and with a life expectancy of 45 years. Water For People’s Everyone Forever strategy syncs with the Government of Malawi’s goal of Sanitation and Water for All, Always. As such, Water For People is a member of the task force that leads this initiative, led by the Ministry of Irrigation and Water Development. Water For People-Malawi is also a key member of the Water and Environment Sanitation Network (WES Network), a civil society network that coordinates the work of WASH NGOs in Malawi. Water For People is helping to develop WES Network’s five year strategy and is advocating for the inclusion of Everyone Forever principles to achieve Malawi’s goal of Sanitation and Water for All, Always. While efforts are concentrated in the Everyone Forever target districts, Water for People-Malawi continues to implement programming in the district of Rumphi, a rural district in northern Malawi with a population of approximately 170,000. The majority of Rumphi’s population is comprised of subsistence farmers, only 45% of whom have access to safe drinking water. Rumphi has unfavorable topography coupled with small isolated villages, which makes it economically unviable and impractical to use mechanized drilling technologies – thus making Rumphi a viable location to test self-supply and manual drilling options. This work provides the opportunity to pilot manual drilling in a more structured way and professionalize manual drilling services. Water For People-Malawi is also developing a water system management model to ensure water is consistently flowing from water systems in Rumphi. Water For People-Malawi is working in the low-income areas of Blantyre to support Water User Associations (WUA) to manage water kiosks. A WUA is composed of an elected board; an executive committee; and paid staff, including a bookkeeper, water sellers, water inspectors, and plumbers. It sells water to people through communal water kiosks, where people purchase by-the-bucket water from sellers. Water For People-Malawi helped establish the WUAs and provides them with the technical (water point maintenance and repair), financial (tariff development and financial accountability), and human resources skills necessary to manage the water system. Since its start, the program has established ten WUAs in Blantyre, which have been able to pay down the debt owed to Blantyre Water Board, rehabilitate and repair water kiosks, and extend service to reach more people. In 2015, two WUAs built four additional kiosks using their own funds, a demonstration of the independence and sustainability of WUAs in Blantyre. Water For People has also supported the development of a WUA Umbrella body. This is a legally registered body that represents the interests of all the WUAs in Blantyre, increasing their bargaining power. In Chikwawa, Water For People-Malawi is building off the water committees initially established at water points to develop pooled tariff committees called Central Tariff Management Committees. These committees oversee several water point committees and collects a portion of the tariff collected at each water point. It provides consistent support, guidance and oversight for the water points while also distributing risk: if a water point breaks down before they have collected enough tariffs to cover repair, they can borrow that money from the pooled tariff committee. In addition to this structure, Water For People established the mobile mechanics program to provide regular maintenance and timely repair of water systems for a fee, paid by the water committees. In addition, Water For People-Malawi is helping to establish local distribution points for spare parts by working with local shop owners to carry parts that mechanics and communities can purchase. This private sector approach has the potential to provide better service, less water system downtime, and greater efficiency. It has also been recognized by Malawi’s national Ministry of Water Development and Irrigation, which created a manual to facilitate the establishment of mechanics across the country to support the operation and maintenance of the rural water supply. Water For People-Malawi’s Sanitation as a Business program shifts away from the traditional, subsidy-driven sanitation approach to a business-driven model, using sanitation as a vehicle for business development. Water For People-Malawi is increasing sanitation services by creating demand for toilets through Community Led Total Sanitation. Water For People-Malawi is also working to develop a supportive business environment for sanitation entrepreneurs. In 2015, Water For People hired sanitation marketers to recruit sanitation entrepreneurs that receive business and technical support to develop and promote their business. Water For People-Malawi is currently supporting the formation of Blantyre’s first Sanitation Entrepreneurs Association, which combines various sanitation entrepreneurs, increasing their bargaining power and providing a forum for sharing learnings. Finally, rather than providing subsidies for sanitation technologies, which is often ineffective and unsustainable, Water For People supports the formation of Village Savings and Loan groups through its local NGO partner to provide sanitation loans to households and enterprises that desire sanitation services. This enables the purchase and construction of a sanitation facility that, because it is desired, will be used and maintained. In addition to this sanitation work, Water For People-Malawi works in schools throughout Blantyre to increase their access to sustainable sanitation and water facilities and promote sound hygiene practices among students. Working with local partners, Water For People-Malawi facilitates the construction of sanitation and water infrastructure. To support increased sanitation coverage, Water For People constructs toilet blocks for girls and boys. In light of girls’ sanitation needs, the girls’ facilities include a changing area that allows them the privacy they require during menstruation, and incinerators for the disposal of sanitary products. Each sanitation facility has a hand-washing station with water provided by a piped water system. In 2015, Water For People-Malawi implemented innovative game-based hygiene education activities in 42 primary schools throughout Blantyre to encourage improved hygiene and sanitation practices. In 2016, Water for People-Malawi continues to promote Sanitation as a Business to provide households with sustainable sanitation services. Water For People-Malawi will continue to support and facilitate sanitation businesses that provide latrine construction and pit emptying services. In both Blantyre and Chikwawa, Water For People-Malawi will increase the level of water service through the development of additional water infrastructure. 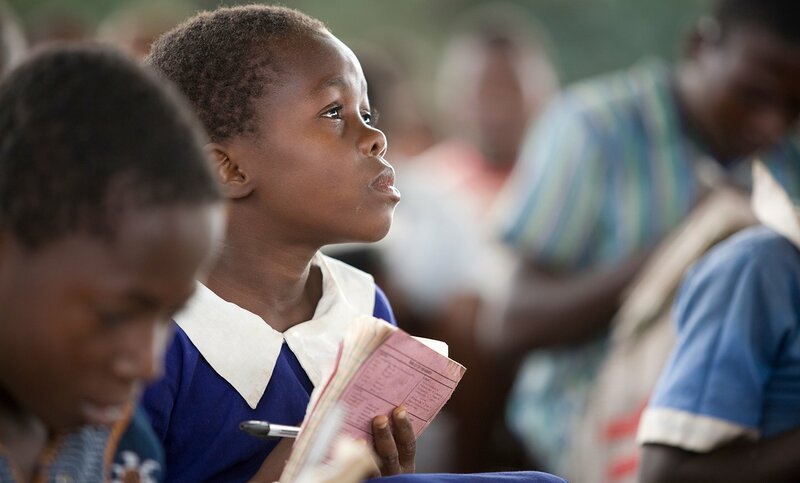 In Blantyre schools, Water For People is supporting the development of school water and sanitation infrastructure, while also promoting water, sanitation and hygiene in schools through innovative education programs. At the community level, Water For People-Malawi is supporting the installation of dozens of additional water kiosks. In Chikwawa, drilling of new water infrastructure will continue to promote the development of new water points, as will the rehabilitation of damaged water infrastructure. To support this infrastructure Water For People will continue to support WUAs in Blantyre and will promote more accurate water tariffs that cover the maintenance and replacement costs of water points, ensuring a sustainable model. In Chikwawa, Water For People-Malawi will expand upon its pilot of pooled tariff committees. To ensure the impact and sustainability of these efforts, Water For People-Malawi implements impact monitoring, training sessions, and partnerships with its public and private sector partners to ensure water and sanitation services can be supported and sustained without relying on another external charity organization.